A lot of people are into the Pax Vaporizer these days. It’s got a lot of traction as a dry weed vaporizer because of its’ size, portability and efficiency with blends. When I tried a Pax a buddy had, it didn’t really give me the results I desired. 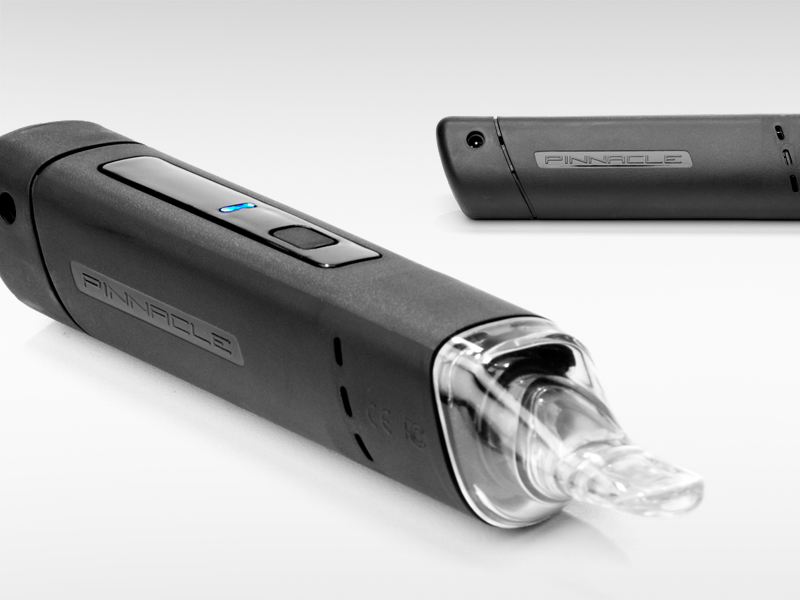 I did some research and found that VaporBlunt had just come out with a new compact, portable device called the Pinnacle Vaporizer. I got a hold of one of these models and was blown away with the results. Not only is it aesthetically pleasing, you can take it anywhere and it’s super discreet. What I love is that with increased stealth I’m not sacrificing performance. This bad boy has a super powerful heating element, a robust herb chamber and two temperature options: low and high. As with most quality vapes, I don’t like to pack it too tightly but with the Pinnacle there’s no worry about burning or combusting my sweet ganja. All you’ve gotta do is grind it up nice and finely and the heating chamber will take care of the rest. VaporBlunt helps enhance the experience by including a flavored mouthpiece with every unit. You can also attach a water pipe add-on to get that cool refreshing feel that you do from a bong. This thing charges at home or in the car and the battery will stay charged for at least five hours of continual use. It’s a little bigger than the Pax, but it’s definitely more efficient and delivers super heavy clouds of vapor. I’m so glad I switched to the Pinnacle Vaporizer. 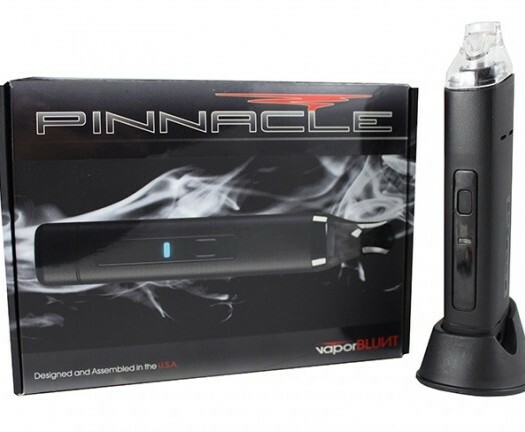 The original Pinnacle vaporizer is available from this trusted retailer. This thing is awesome. It’s well-made, reliable and it comes at a terrific price for the quality. What’s more it helps conserve your herbs. The water pipe attachment makes it even more versatile than the Pax.